Kimchi has been a staple of the Korean diet for centuries. This spicy fermented cabbage dish comes in many forms and is an essential part of a Korean meal. Raw kimchi is loaded with vitamins. It is good for optimal health. It brings your meals to life. With different flavours of kimchi available, there is something for your taste! Sauerkraut is originated from China and was brought to Europe during the Roman Empire. Many people associate sauerkraut with Eastern European countries where it does feature heavily in certain dishes, but it is truly an international favourite and now becoming a staple of the western diet. Traditionally kefir has had a long history in Russia and other Eastern European countries, where it is renowned for its exceptional health benefits. Kefir is a thick fermented milk drink, similar to a drinking yoghurt. It has a distinctive tart, yet refreshing taste, with a slight effervescence. What distinguishes kefir from other probiotic foods such as yoghurt, is that it contains a broader range of beneficial bacteria along with yeasts, which work together to give kefir its exceptional health benefits. Kefir has loads of health benefits, which include; healing the digestive system and liver, creating a strong immune system, enhancing hydration, recolonising and alkalising your gut, and it also possesses anti-tumour and anti-bacterial properties. Jamu is a traditional Indonesian medicinal tonic that dates back thousands of years, made from natural ingredients, including roots, bark, leaves and fruits. There many diverse types of jamu however most of them contain fresh turmeric as a base ingredient which gives the jamu its distinctive yellow color and earthy, slightly spicy taste. Turmeric is one of earth’s most powerful ingredients for medicinal purposes, the active ingredient found naturally in turmeric, curcumin, is a natural anti-inflammatory, anti-coagulant, anti-depressant and pain killer. 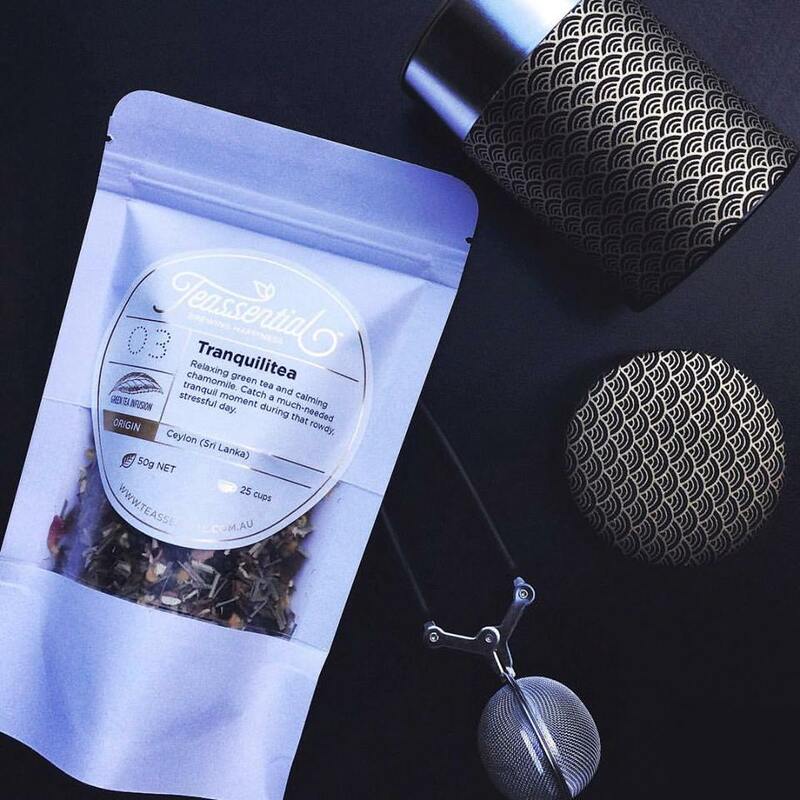 Teassential was born our of their passion for exquisiste tea and love of beautiful design. 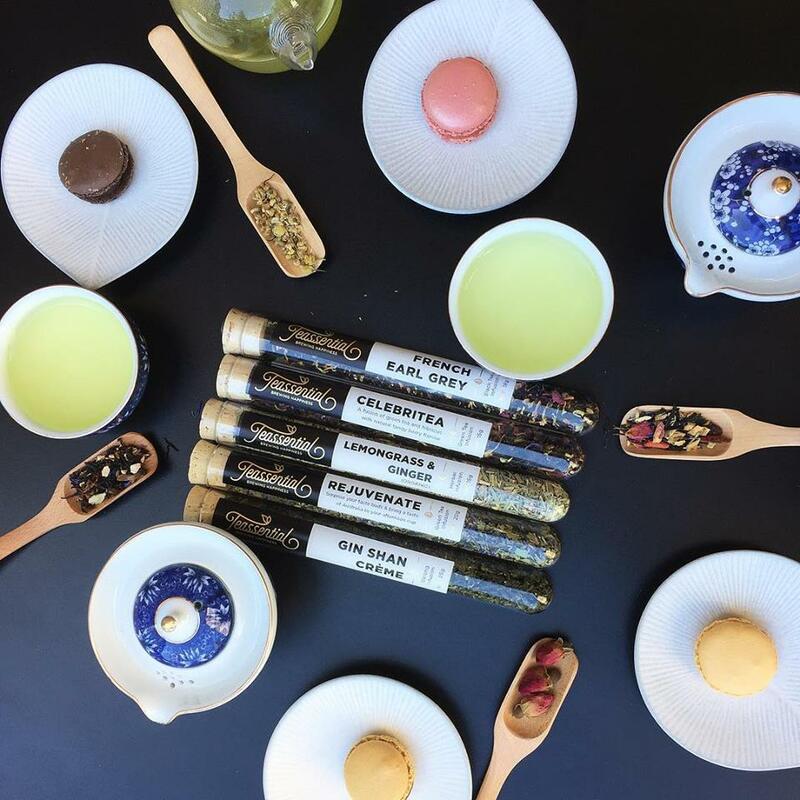 Their aim is to bring home exquisite teas and herbs from around the world to add their own flare to bring to you their signature Teassential infusions. They believe that there is more to "a cup of tea" than just a "a cup of tea" itself. It's your personal choice, is it curious new infusions or is taking you down memory lane? It's how you have your tea, hot or icy cold, strong and bold, or gentle and calm. The vibrant colours, exotic tastes and heady aromas of the ancient spice market in Old Delhi is the inspiration behind this spice blend. Their range of spice blends are all made with natural ingredients to support the healthy lifestyle. The ingredients are gluten free, sugar free, low in sodium and is also suitable for vegetarians and vegans. This spice blends add a global dynamic flavour to you homemade meals! Teff is the smallest grain in the world and the most nutritionaly dense. It is the naturally gluten free, low GI and supercharged with all the good stuff such as iron, protein, calcium and many other essential minerals. Teff may be small in size, but it's big in benefit. Teff can be eaten in everything from salads to desserts and porridge. It can be used as a flour for baking. It leads grains in the nutrient stakes and has a delicious nutty flavour that works with both sweet and savoury. Teff flour can be used as a substitute for you everyday flour for something more healthy and it's also gluten free. The answer is Teff! It's a staple that is required to be in your pantry. Nib + Noble are immessed in a love affair with cocoa. Only organic and fairtrade ingredients are used, and their products are made with the care and respect they deserve so that they pass on only the highest quality products to the customers. 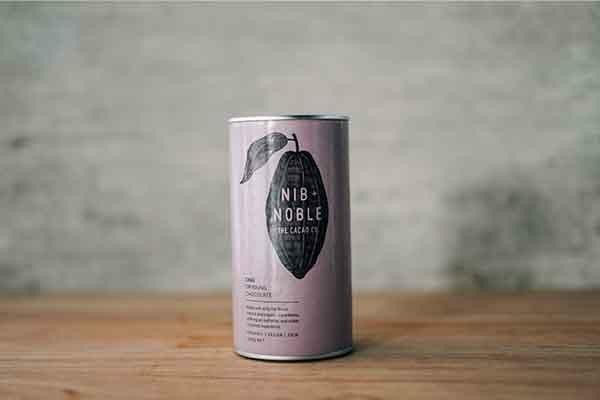 Nib + Noble was born out of a passion for the creativity that chocolate based products has sparked, and a desire to share with the world. The magical world of cacao is something that they love to share with you, so welcome aboard. It is certified as an organic drinking chocolate. It for those who desire a rich and satisfying drink. It can also be used for baking, adding it to your cereal for a chocolate kick or for whatever your heart desires for! There is also a range of hot chocolates available. It isn't just available in your standard hot chocolate. No, Nib and Noble also has chilli hot chocolate and chai drinking chocolate. And for those who want to indulge without the guilt of having a little sugar, there is also a sugar free version of the hot chocolate. It is available in store for you to come and grab your hands on some! Simon Johnson has been providing home cooks with quality and unique products since 1992. They are continually forming and maintaining relationships with artisan producers across the world to source the best products for your entertaining and everyday cooking needs. They offer products only of the highest integrity that is sourced from more than 80 producers internationally. They are commited to using premium raw ingredients. 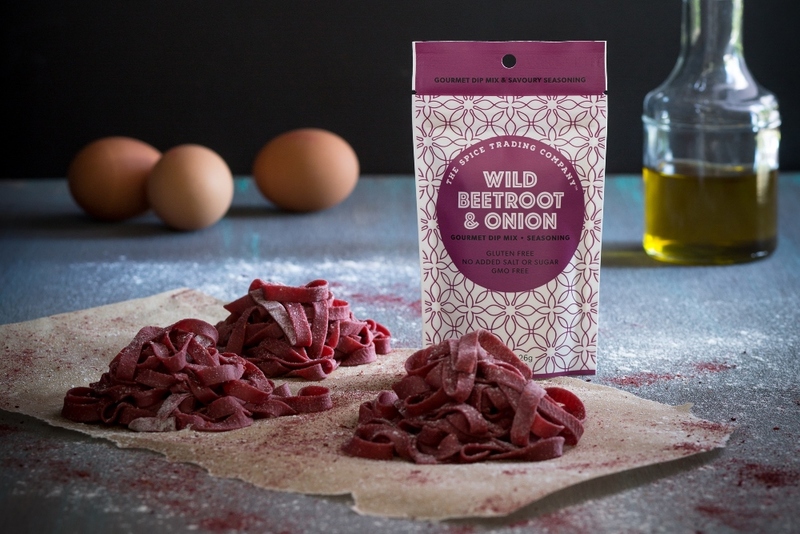 Be it the best olive oil, pasta, or chocolate you’re looking for, you will be able to find it from Simon Johnson. You will also be able to find a range of unique cheeses from Simon Johnson.